MSI has plenty in store for gamers at Computex 2018. This includes a selection of new monitors, a laptop that isn’t black and red, and two brand new motherboards fitted with the latest AMD B450 chipset – expected to ship by the end of July. The B450 is the second chipset launched to directly support AMD’s Ryzen 2 processors. This slightly more budget alternative to the current enthusiast X470 motherboards will be a welcome addition to the current Ryzen chipset lineup, as not a whole lot of functionality is expected to be dropped with the cheaper chipset. No time to waste waiting for the latest chipsets? Here are the best AM4 gaming motherboards you can buy right away. MSI have been showing off the B450 Tomahawk and B450-A Pro AM4 motherboards at Computex, and according to our man on the ground, both are expected to launch towards the end of July alongside the usual suspects of mobo manufacturers. 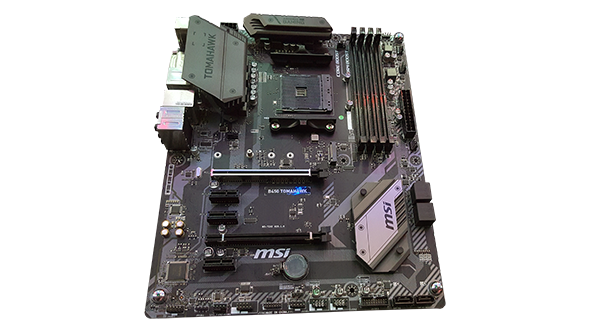 Pricing hasn’t been confirmed as of yet, but for the record, the previous generation’s MSI Tomahawk B350 mobo, which launched last year, is available for $85. Aside from motherboards, MSI also brought multiple game-ready monitors to the event in Taipei. Dave just finished up a hands-on impression with the Oculux NXG251, a TN G-Sync monitor with a whopping 240Hz refresh rate, but there’s also two VA monitors on the way as well. Both the MSI Optix MAG271CR and MAG241CR monitors utilise, frankly sluggish, 144Hz VA panels with a 1ms response time. They also both come with MSI’s ‘Gaming Echo’ function, which causes the rear-RGB illumination zones to react to the in-game audio and lighting for a more immersive lighting experience. 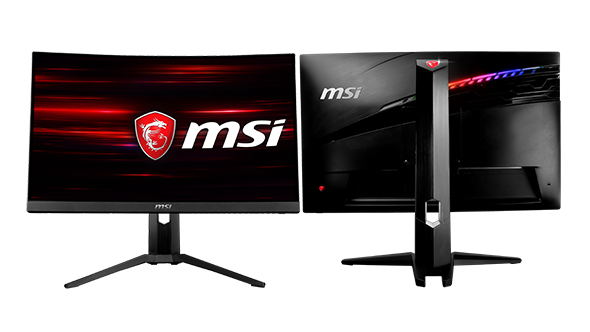 A super ultrawide gaming monitor has also been spotted over at the MSI booth, so it seems the company may be prepping a contender for the ultrawide crown against the Samsung C49J89 and CHG90 monitors – as are Asus. As with most Computex teasers, prices and exact release dates are not yet announced.